Easy to swallow due to their small size and rounded shape. Easy to understand instructions on packaging, with customer friendly labels. Crafted from pharmacopeia grade herbs. Rigorous quality & safety - each lot is tested for pesticides, heavy metals, & microbials. Manufactured under stringent dietary supplement cGMP requirements. 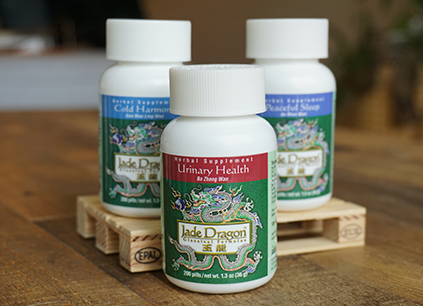 Explore the full line of Jade Dragon Formulas.